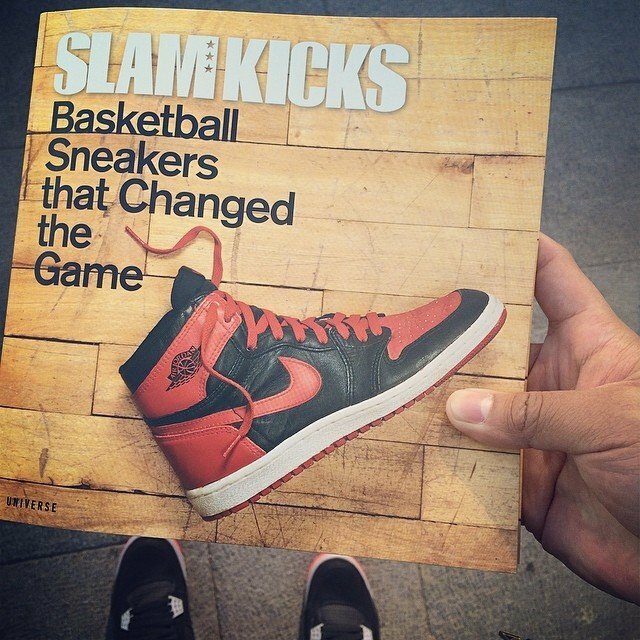 This Slam Kicks Book shows you which basketball shoes molded the game forever. Shoes have changed throughout history, but there have been a variety of basketball shoe improvements along the way that have changed the game of basketball. In the 1930's, basketball sneakers were created for straight-up performance. Today, hoops footwear provides double duty, as sneaker-heads care just as much as how they look as how they perform. Slam Kicks showcases some of the hottest basketball kicks of all time, from the iconic Chuck Taylor All Stars to the best-selling cultural-phenomenon Nike Air Jordan sneaker line and everything in between. In 208 colorful pages, the book highlights the hottest basketball sneakers of all time, covering each legendary sneaker and it's design, technical advancements, and the athletes that made the shoes famous. Featured sneakers include the Adidas Jabbar, the Puma Clyde, the Nike Air Force One, the Reebok Question, the AND1 Tai Chi, the Nike Zoom Kobe IV, and many others.